First we will retrieve the user name and then we will retrieve the email id. 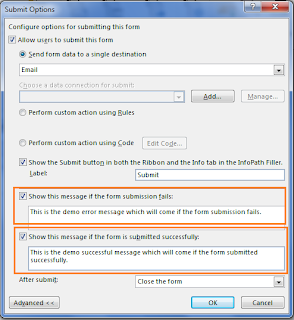 - First select the checkbox, "Show this message if the form submission fails" and write what ever message you want in the textbox. 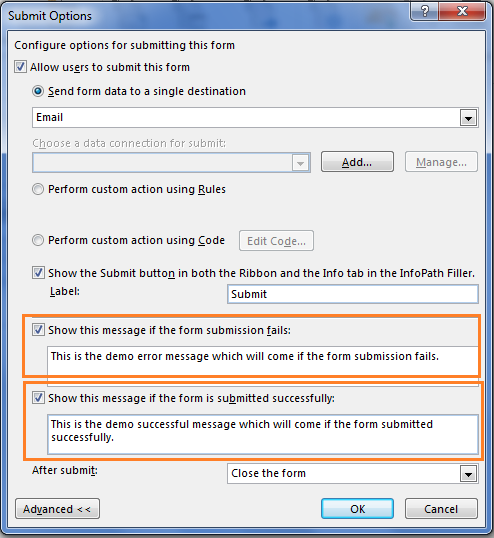 - Then select the checkbox, "Show this message if the form is submitted successfully:" and write what ever message you want in the textbox. After this the modified message will be shown to the user. There are various category for these activity and each category contains some activity. For full details check this msdn article.